Nyngan is located in central New South Wales in the Orana region, on the Bogan River. It is just 70 kilometres from the geographical centre of the state. The court house is located on Cobar Street, near O’Reilly Park. Coaches run from Lithgow and Dubbo, each of which is accessible by NSW TrainLink services. Dubbo also has a major regional airport.  Visit Sydney Criminal Lawyers® for Criminal & Traffic Lawyers for Nyngan Local Court.